Meet my partner in survival and crime Jon. He has lived many lives and has had many experiences that have shaped him into a jack of all trades. MacGyver type skills and a wealth of knowledge to share in many survival areas has lead him to be a gun enthusiast, master fisherman, knowledgeable gardener, technical guru, and skilled brewer. 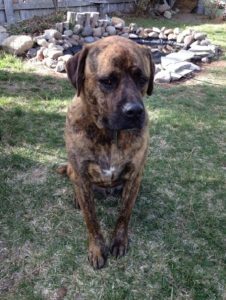 Meet Chewbacca (aka Chewie); a Mastiff Boxer mix with massive survival experience. 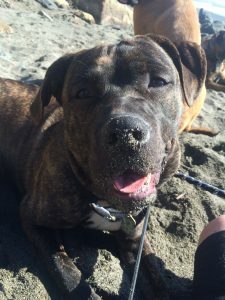 He survived and overcame an abusive past where he lived in a field with another dog friend. Lazy yes but protective, wise and smart. He is our guardian and giver of comfort and love with an overall calming presence. Meet Obiwan (aka Obi); a young Mastiff Labrador mix learning new skills everyday and already following in his brother Chewie’s footsteps. A great swimmer and hunter in training with endless energy spurts make him a force to be reckoned with in the survival world. When all else fails, he will charm you with his secret weapon… his happy playful antics! 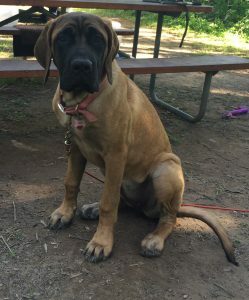 Meet Leia; an English Mastiff and newest member of our survival family. She is the baby but already practicing her guarding and take down skills. Her signature flying leap has impressed many. She will be huge when she grows up and will have the ability to take down large animals in protection. She will be our massive sized guardian and protector and is learning the Mastiff ropes from Chewie. 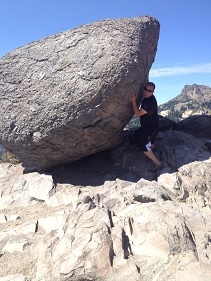 Then there is me… Mandy. 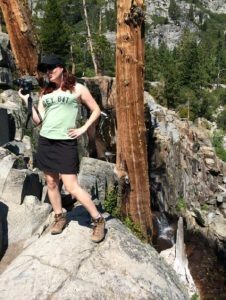 Growing up backpacking and camping for weeks at a time in remote wilderness areas has led to a tough wilderness wise girl who always has had a love of survival stories. Mad chef skills, writer, and photographer who can lead an expedition with pack and compass in hand. I am ready for whatever adventure comes my way and ready to build my own survival abilities! 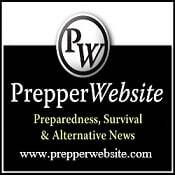 To build a network of like-minded preppers to share resources, products and ideas. We want to continue to thrive even in the face of economic collapse whether it be by natural disaster or human destruction. We want your family to thrive and survive too.